Melissa McCarthy was my least favorite part of Bridesmaids, a movie I otherwise really enjoyed. Having that negative impression in mind, coupled with the fact that the only other movie I associate her with is the universally panned Identity Thief (which I have not seen and have zero interest in ever seeing), I had immediately dismissed any possibility of Spy being any good/worth watching (the prominent billboards/posters weren’t doing much to dissuade me [in retrospect, the advertising seemed to do a major disservice to the movie]). I was, however, stunned to see the overwhelmingly positive response to the movie and decided that perhaps it was worth opening my mind a bit and giving McCarthy another chance. It worked out pretty nicely, as I hadn’t laughed so hard in theaters since I saw The World’s End a couple years ago. Susan Cooper (Melissa McCarthy) is a top-notch CIA analyst, providing mission support for field agent Bradley Fine (Jude Law). While on the trail of a potential black market nuclear arms deal, tragedy strikes and the CIA’s top field agents’ identities are compromised. To continue the investigation and stop the deal from going through, Susan volunteers to enter the field for the first time and has to prove to everyone that she’s capable of more than anyone has ever given her credit for. 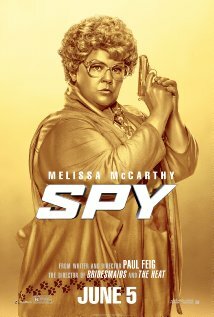 First and foremost, Spy is a comedy. And unlike so many other movies that are billed as comedies, it’s genuinely funny. The movie’s humor definitely warrants the R rating but doesn’t settle exclusively for the bawdy/obscene. What seemed especially notable is that the laughs seemed to come from every character. Usually, it seems that movies count on a couple key characters to be the sources of humor, but even minor characters with just a few minutes of screen time made the most of it. The movie isn’t afraid to toy with conventions of the spy genre and subvert them, often leading to boisterous laughter from the audience. Following in the footsteps of Kingsman: The Secret Service, which released earlier this year, Spy also delivers some pretty impressive and entertaining action sequences with a clear emphasis on embracing the absurdity and unlikelihood of the situations that the characters find themselves in. The action is over-the-top and exciting (and, fortunately, easy to see/interpret) but also never loses sight of the fact that the movie is a comedy, taking every opportunity to break the tension of a life-and-death encounter with something funny. Susan Cooper is the character that has made me flip my opinion of Melissa McCarthy. Cooper is warm, kind and sympathetic but when she gets a chance to let loose (and honestly, even before that), she shows that she’s tough, smart, competent and deeply resourceful. Yes, she doesn’t fit the stereotype of a “spy” but as the movie points out, that’s actually probably why she could be extremely successful as one. And that’s probably part of why Susan can succeed where men like Jude Law’s Bradley Fine and Jason Statham’s Rick Ford cannot. Besides McCarthy, Statham also stands out from the crowd of strong performances as superagent Ford who refuses to accept Cooper’s participation in this operation. Ford is the parody of the ultra-gruff, tough super-assassin character that Statham’s made a living portraying. He’s responsible for some of the movie’s biggest laughs (his self-described exploits as an agent are pretty incredible). Rose Byrne is perfectly hateable (although I still love her) as Rayna Boyanov, embodying the arrogance, entitlement and disregard for other human life that one would expect from an evil princess. The rest of the supporting cast is strong with Miranda Hart standing out as Cooper’s slightly less competent best friend Nancy and Peter Serafinowicz as Aldo, the Italian (or British?) agent who helps Cooper through her investigation while also being completely unable to keep his hands to himself. I’m actually having a hard time writing about Spy because so much of what I want to talk about are the movie’s actual jokes/moments and there’s no way I can do any of them justice. 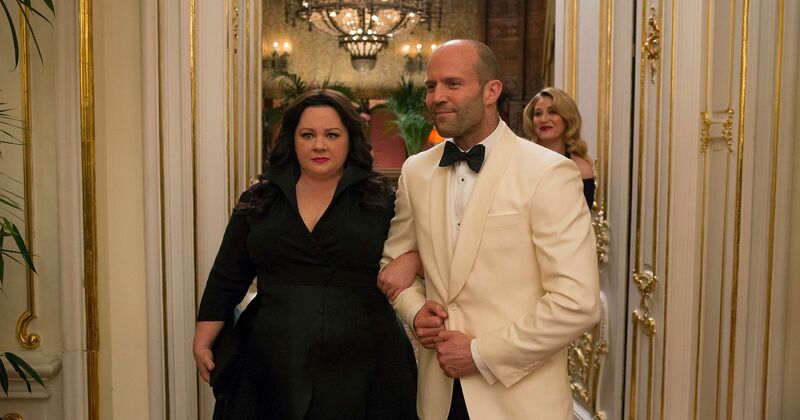 The great writing and performances are the keys to Spy’s success. The plot itself seems to be relatively standard as far as spy/espionage stories go with some semi-predictable twists and turns (and holes/hiccups) while Protagonist and Friends are on the way to ostensibly saving the world (from one nuclear weapon [not that that isn’t a big deal]). The reality is that the plot is just a vehicle to show off some hilarious characters and give them an opportunity to shine. Given how funny and entertaining those characters were, that’s absolutely fine by me.